This week’s Chapter Spotlight is Eta Omega (Towson), our Eastern Quadrant’s Most Improved Fundraiser! Vice President of Marketing Steffani Pacitti shares what improvements the chapter made to accomplish a significant increase in their chapter giving this year. 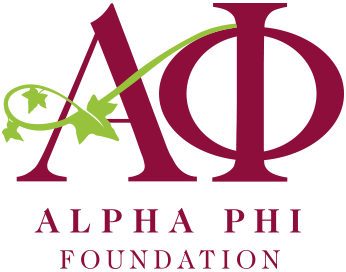 You increased your donations to Alpha Phi Foundation by over $12,300 last year. How did you accomplish this? We accomplished this because of our passion. One thing I can say about my sisters at Towson University is that their hearts are so full of love for our philanthropy, and it really hits close to home. Bonding over fundraising for a good cause has brought us even closer together, and has motivated us like never before. Lifting each other up and setting goals to “do even better next time” keep us going. We are so proud of our accomplishments within the past year and are so grateful for the past and current VPs of Marketing for all of their hard work. Having sisters in the VP of Marketing, Director of Philanthropy, and Red Dress Chairman positions that are extremely passionate about the cause makes these officers go the extra mile to make each event the best it can be. Did you introduce anything new this year at your philanthropy events? For Red Dress Gala, we took an event that was medium-sized and launched it to new heights. We’ve never invited alumnae before this year, and including them was a nice touch. Now that our chapter is larger, we also incorporated more social media leading up to the gala. Parents and attendees enjoyed the Facebook reminders and previews of what items we would be featuring. We also implemented a balloon raffle and both silent and live auctions in efforts to keep the night fun and entertaining. The balloon raffle was a great, inexpensive way to keep attendees involved. This year was also our first year hosting Alpha Phifa, a live soccer tournament. Fraternity men love sports and especially competition, so this event got many student organizations excited! We raised about $800.00 from this tournament alone. At what event did you see the most fundraising success? What aspects of the event led to this success? Red Dress Gala was by far our most successful event. The Red Dress team worked for about eight months to ensure a successful event. Organization, timeliness, and deadlines are crucial in implementing a successful Red Dress Gala. We aimed to secure donations from big companies that would appeal to our families. We focused on the important things first, like securing donations and sponsorships, followed by the other details. Sponsorships changed the fundraising game for our chapter by opening up doors to more fundraising opportunities than we’ve ever had in the past. Some local businesses, such as law and doctor’s offices, that didn’t have material items to donate became sponsors of the event. Another great sponsorship source came from companies that our families are employees of. We made sure to thank each and every sponsor and donor after the event to ensure a long-lasting relationship. How did you involve your chapter in preparing and executing your events? 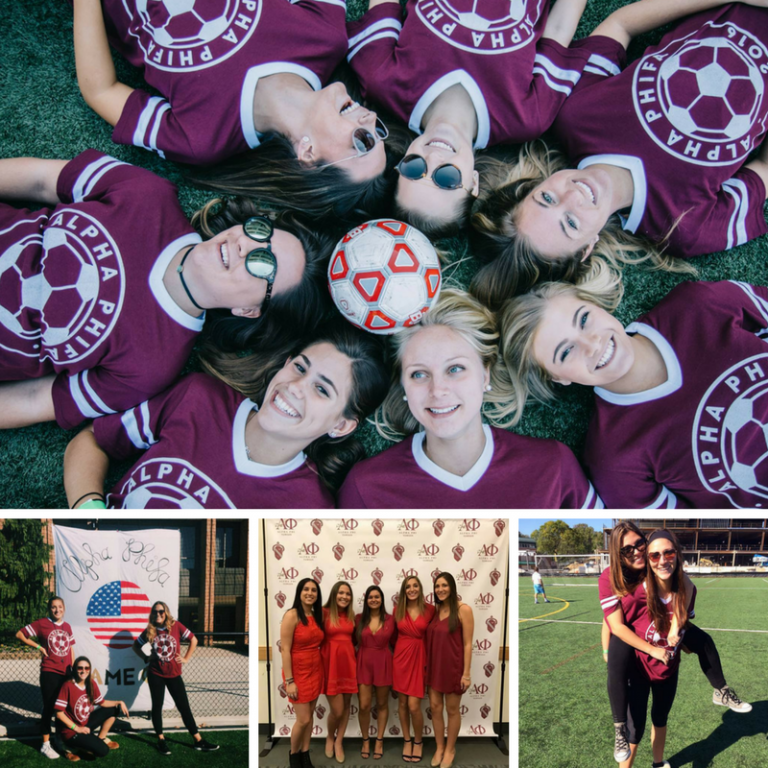 Various events involve sisters more than others during the actual event. For example, we have sisters keep score and ref for Alpha Phifa, and hand out wings at our annual WingBowl chicken wing eating contest. We also ask sisters that have strong connections with other student organizations to encourage those organizations to participate. We also created graphics for sisters to share on social media. What advice would you share with other chapters looking to improve their philanthropy events? First, try to utilize spaces on your campus. They are usually available at little to no cost to the organization. All of our events are hosted on campus for free, and that helps us to cut down event costs significantly. Second, social media is SO important, especially for on-campus events. Learn how to properly utilize social media platforms that are popular on your campus. For example, Instagram is widely used at Towson, so we make graphics specifically for followers to see. Lastly, go big or go home. Put your all into these events, and encourage your sisters to be excited. It will go a long way!